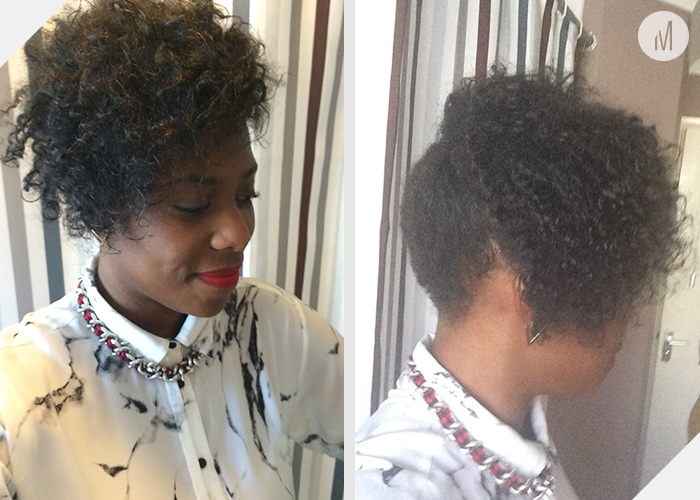 Can you believe that two years ago today, I started my journey to natural hair? Whooza! How time flies? I did spend most of that time transitioning but I'm all natural now, so It's all good. I had to share the image below because its a true reflection of my hair journey. And i'm sure you can all relate. In April this year I finally did a mini chop (cutting the relaxed ends off) after transitioning for a total of 18 months. God only knows how I went for so long, because dealing with two textures wasn't easy. 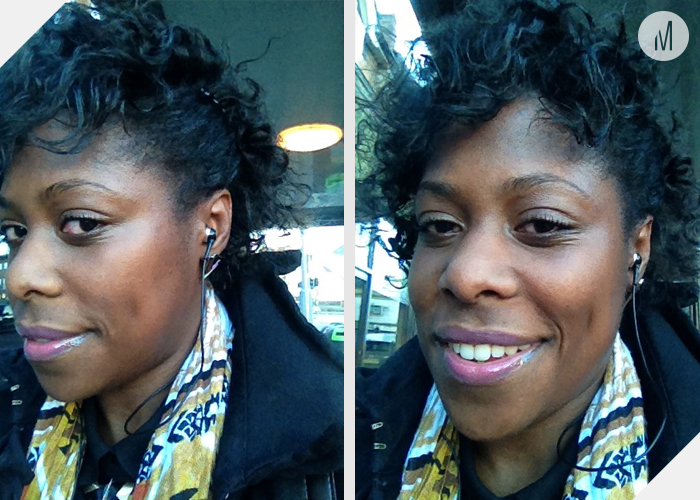 It became even more frustrating as time went on, so I knew it was time to let go and fully embrace my natural hair. Like many long term transitioners, I was apprehensive about cutting the relaxed ends off. How was I going to deal with losing length? Will I be able to create my favourite styles? Will I even like my own texture? I'll keep it real with you, it was a bit of a struggle working with shorter hair after the mini chop. My twist outs didn't sit as nicely as they used to, my up-do's didn't look as fabulous, my hair lacked shine and my curls weren't as defined as i'd hoped them to be. BUT I was all natural and this is what god had blessed me with. I spent the follow months getting used to my texture, experimenting with different products, adjusting my daily regime and learning to except my hair for what it was...Beautiful. I've put together a gallery of hair photos taken over the two years. 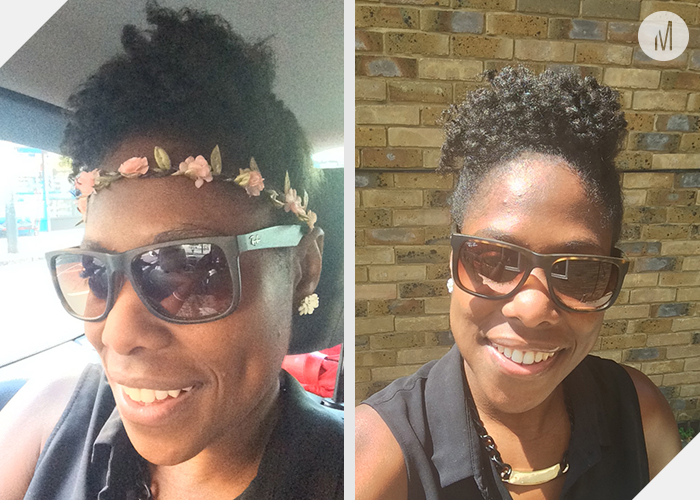 Hopefully this will encourage, inspire and help someone on their journey to natural hair. 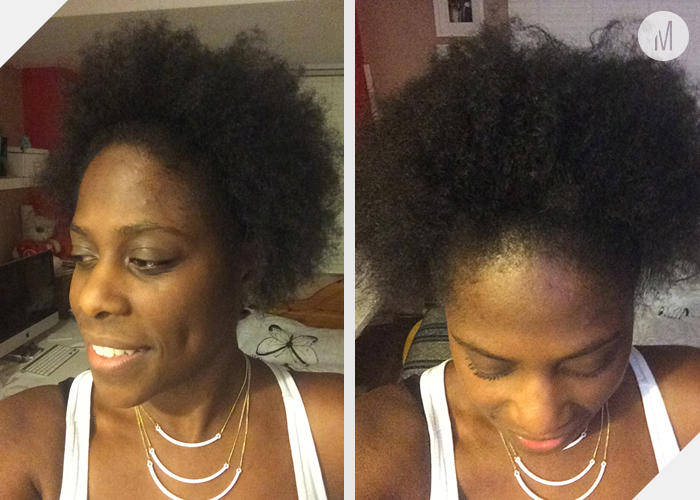 How did you find your journey to natural hair? If you're transitioning, how is your journey going? Feel free to share your thoughts in the comments box below. Solange Knowles is living proof that natural hair can be versatile, stylish and edgy. 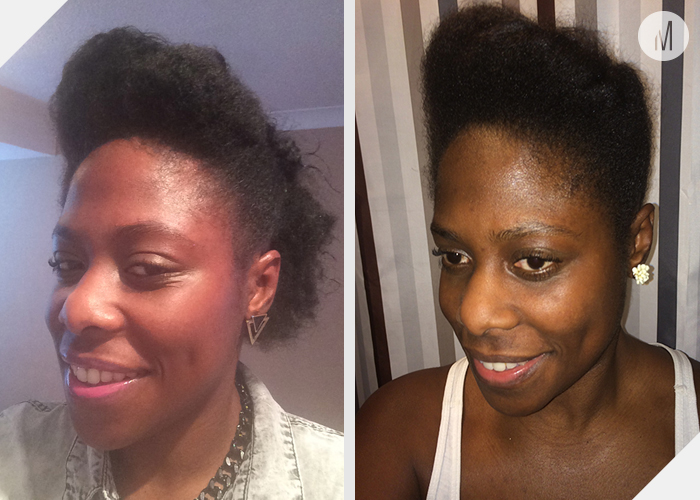 And thanks to her i was encouraged to start my natural hair journey in September 2012. 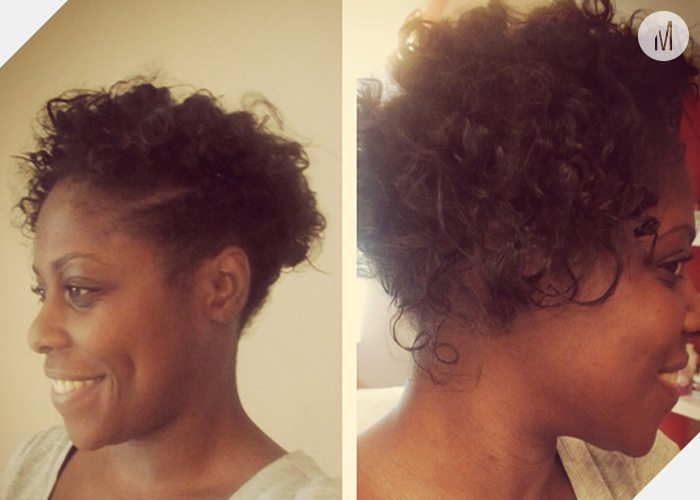 When i came across her natural hair photos, i instantly fell in love. Her confidence, style and vibe drew me in and I was sold. When she rocked her box braids i was like...this is so me. And I was convinced that i had to start my hair journey with this classic 90’s style. Not only is Solange my natural hair inspiration, she's also my fashion muse. Her style is fresh and she carries a confidence when rocking bold colours and old school trends. And i love the way she wears prints on prints, it's just effortless. Who's your celebrity natural hair inspiration? Tell us your name and where you are from? My name is Monique Thomas (the creator of moniquethomas.co.uk) and I'm a graphic designer living in London. How long have you been natural? 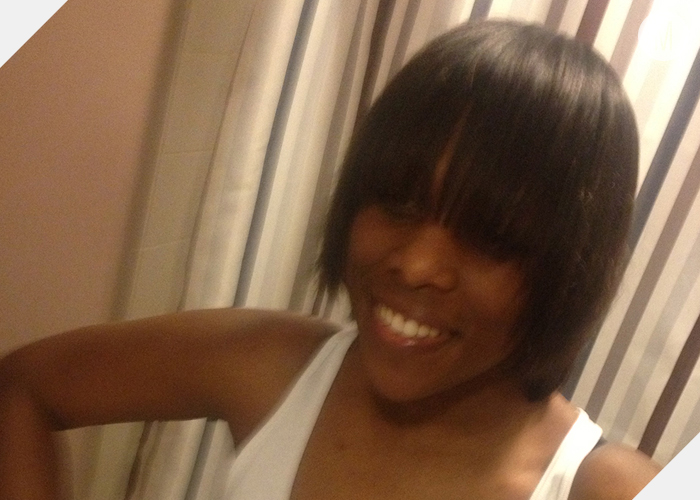 I’m not 100% natural as yet, but I’ve been transitioning from September 2012 (18 months). 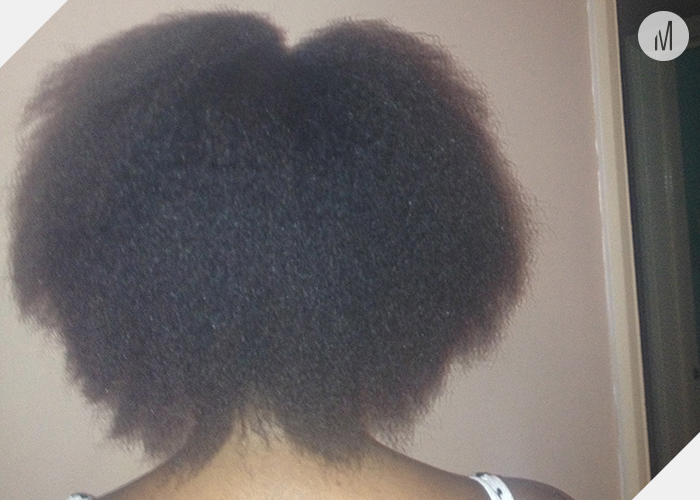 Why did you make the decision to go natural? In 2005 I coloured my relaxed hair just in time for summer. 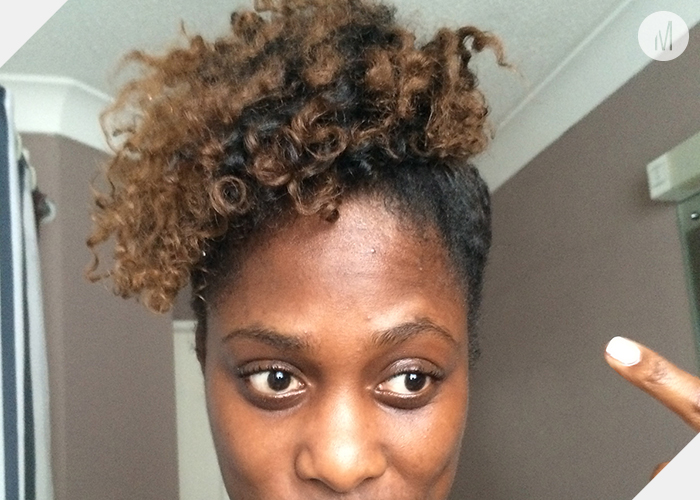 A few weeks later I got my friend to re-touch the roots, but I made the mistake of not moisturising the coloured part of my hair beforehand. This ended in a complete and utter disaster. Whilst rinsing out the relaxer, my hair started to fall out from the roots. This was one of the worse days of my life. The saving grace was that my hair fell out just in front of my crown and just before my hairline, so I was able to cover the bald patch with other parts of my hair. Phew! But I had a major problem…what do I do now? I didn’t want to relax my hair again, as I feared the worse (as you would) for my hair. I wasn’t a fan of weaves, extensions and wigs, so I was unsure what my options were as I’ve been relaxing my hair since I was 16 years old. It did cross my mind to go natural but my memories of natural hair consisted of dry, nappy, tough, difficult hair that was too much deal with. So I took the risk and I went with what I knew…the creamy crack. Over the years I often ask myself what I plan to do with my hair. Because God only knows that I couldn't take another fall out. Having seen my cousin go from having relaxed hair to beautiful locs, going on holiday to the Caribbean and seeing all those women with stunning, healthy, long natural hair. I was inspired and I knew this was what I wanted. BUT how can I transition from relaxer to natural hair without the fear of how I was going to look? I didn’t have an answer, so I chickened out and continued relaxing. In 2009 I saw a movie called ‘Good Hair’ by Chris Rock, it was an eye opener for me. The movie not only highlights the issues of how black women perceive their hair, but also how the hair industry and 'clever' marketing pushes what they believe is acceptable and desirable for black women's hair. 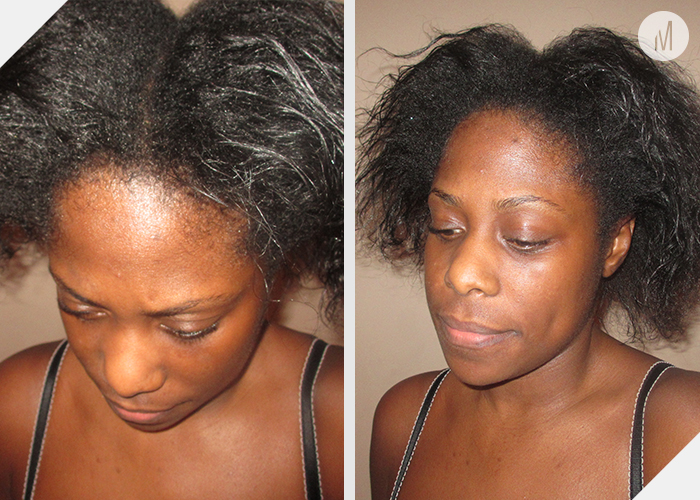 It goes into depth about the effects a relaxer has on our hair and scalp. 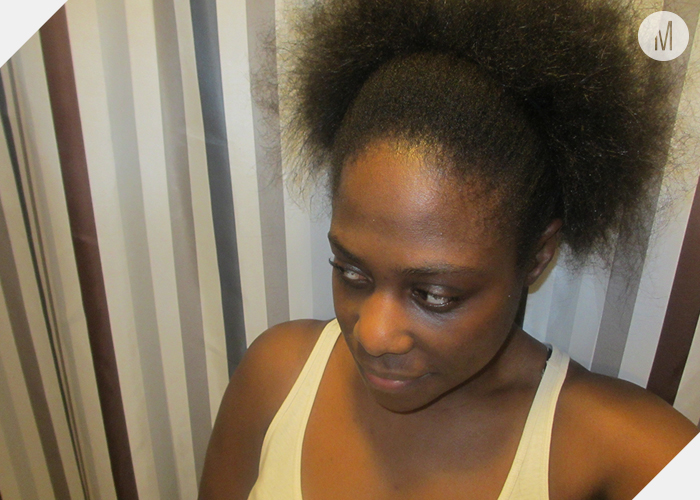 It was at that point I knew I had to start my transition from relaxer to natural hair sooner rather than later. 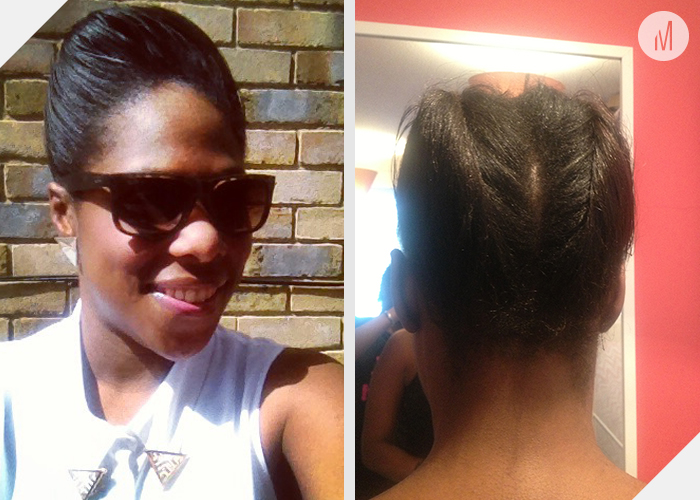 In September 2012 I finally made the decision to grow out my relaxer and pursue my journey to natural hair. Yey! I started to do some research and came across a few photos of Solange Knowles (who is my fashion muse) with her natural hair and fell in love. Her confidence, style and vibe drew me in and I was sold. When she rocked her box braids, it definitely pushed me in the right direction and I decided that box braids was the best way for me to start my journey. I love retro, funky styles and this 90’s style was right up my street. I wore my box braids for over a period of 6 months and within that time I considered different options for when the time came for me to take out my braids. Prior to this I had never allowed my re-growth to be on show for longer than 8 weeks, so I needed something that was going to make transitioning as easy as possible. September 2013 was the last time i re-applied the treatment, so i tend to style my hair with twists outs, updo’s and protective styles when necessary. I now enjoy seeing; touching and playing with my hair more than ever, so I can’t wait to see how it will look once I do the big chop (cut off the relaxed ends). What is your hair type/texture? I’m no hair expert but I’d say that my hair type is 4B with some 4C. Describe your styling regimen over the course of a week. Pre-poo (this refers to applying oils and/or a conditioner to the hair before shampooing) using coconut/jojoba/shea butter/castor/olive oil and/or my leave in conditioner. Co-wash using As I Am Coconut Cowash (I only shampoo when I need to, which tends to be once a month if that). Condition using As I Am Hydration Elation or Organic Hair Mayonnaise and I mix it with honey with coconut, olive and jojoba oil. Moisturise using Giovanni Direct Leave in conditioner and/or Crème of Nature Argan Oil leave in conditioner, As I Am Moisturizing Milk and my homemade oil mixture (coconut/jojoboa/shea butter/castor/olive oil). What is your favourite go to hairstyle? 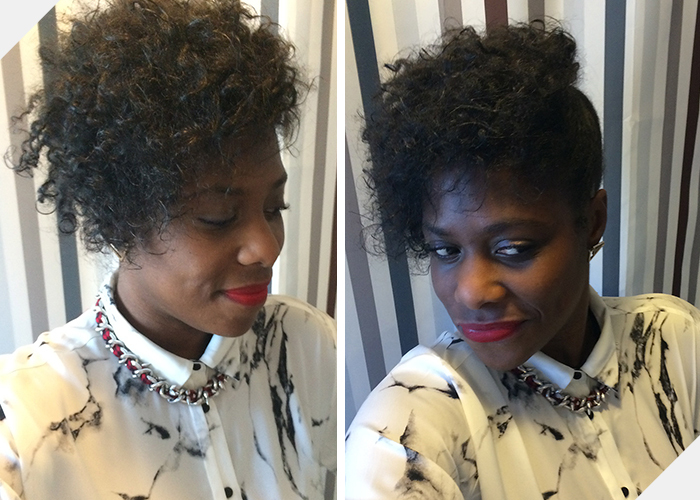 My favourite go to style is a Frohawk (afro Mohawk) after a twist out. 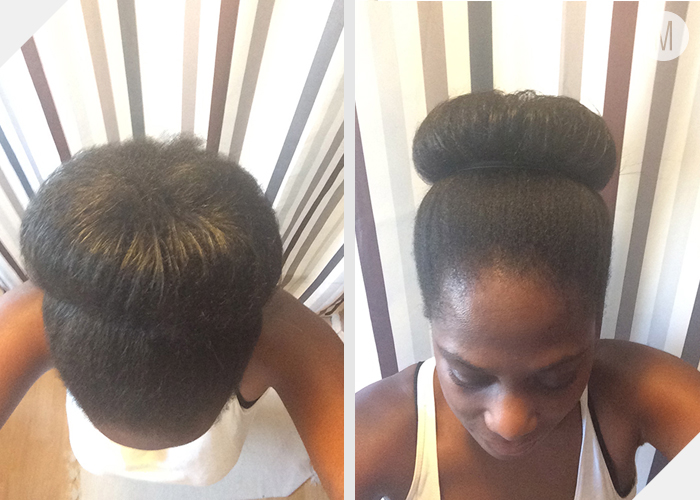 Or an up do (pompadour), which is a protective style that is easy to create and maintain, so I love it. List your top 5 products. Can you recommend any websites/blogs that are great for providing hair advice, styles and inspirations? If you could give advice to someone currently transitioning or thinking of transitioning, what would it be? Don’t do it…only joking. Lol. My advice to those transitioning or thinking of transitioning is research, research and more research. I can’t stress how important it is to educate yourself in order to achieve the best for your hair. There are so many different products, techniques and regimens that may work for some but not necessarily work for you. On a lighter note have fun with it, experiment and embrace your natural beauty. 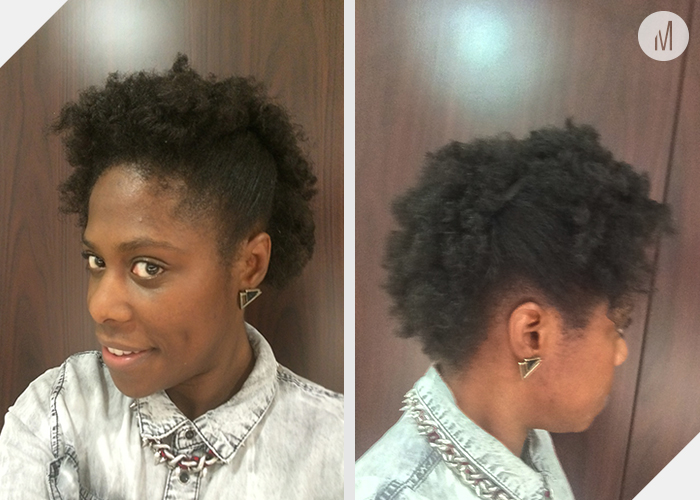 Now say it loud and say it proud…TEAM NATURAL BABY! Are you currently transitioning or thinking about transitioning?